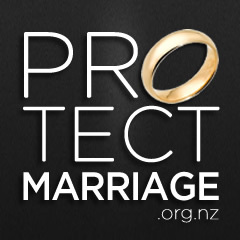 Family First Comment: Once you redefine something once, the possibilities are endless…..
A New Zealand celebrant in Australia who has launched a service for people who want to marry themselves says about half the women who’ve been through the ceremony are Kiwis. Self-marriage is called sologamy – the promise to put yourself and your needs first. Emma Jane Love, or EJ, is a Kiwi celebrant on the Gold Coast who specialises in self-marriage. EJ, who has also married herself, has presided over at least 100 sologamy ceremonies this year for both men and women. “Probably about 50 per cent of the women that have done this ceremony are Kiwis. There’s so many of us here in Australia. My first ever client, she is a New Zealander as well,” she said. Michaela Adley married herself on a beach, surrounded by a group of friends. “You don’t need someone to tell you that you deserve love, or that you’re worthy of it. You know in heart that you are,” Michaela told herself in a mirror.